Oh, I love it! All of it! 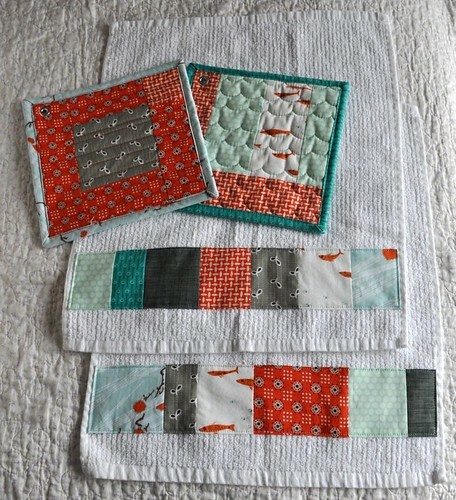 Your towel & potholder sets are darling! And that quilt your mom made is really a lot of fun! 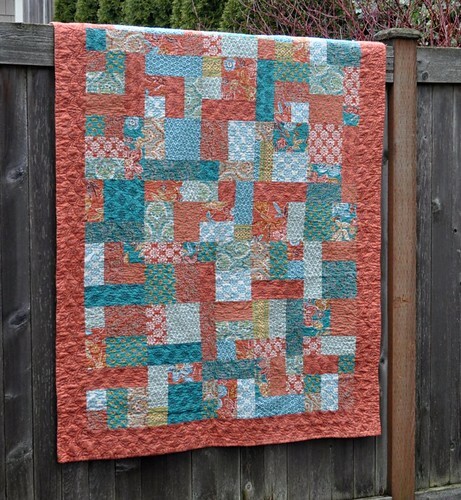 What a post full of quilty eye candy! The gift sets are really cute. I like the eensy weensy tumblers best. Oh! 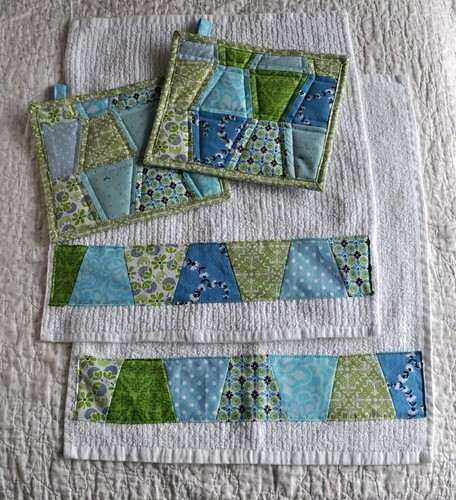 What beautiful towel and potholder sets! The quilt from your mom is lovely as well! Nice job on the pot holders and towels! Sure do like the quilt your mother made. Could I be so bold to ask what pattern she used? Your work is truely inspirational to me! 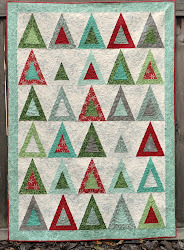 I am just getting back into quilting. I have a question tho...can you tell me (us!) how you go about cutting the squares..evenly. I don't intend to go smaller than 3" but using a rotary cutter, selfhealing matte and plastic see-thru with mearsurements templates, no matter how hard I try I can't get the all exactly straight.plus what kind of fabric do you use as I notice the thinner fabs don't hold shape as well. I would love it if you could do a blog about this..sure would help me to know how others are making a sucess of their quilting talents. Thanks for any tips!